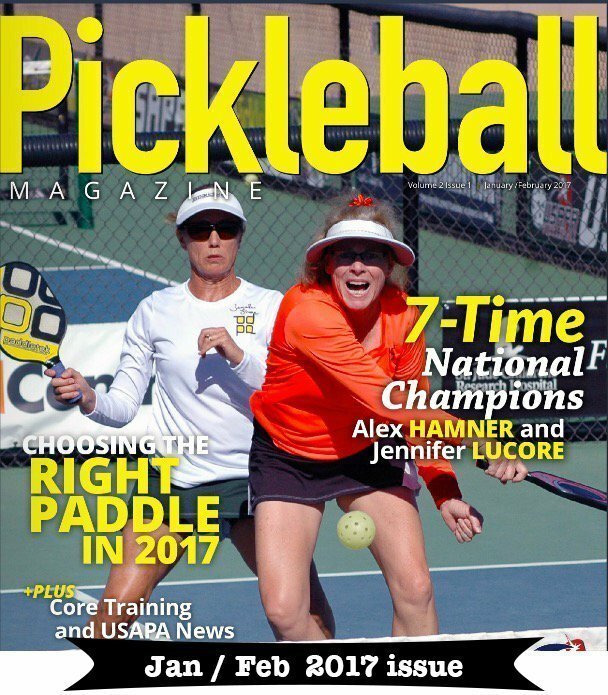 While planning for the 2018 pickleball tournament season, I thought it would be prudent to share this article that Alex Hamner and I wrote for Pickleball Magazine (Prize Money, Men & Women, Seniors & Open, Players Beware). Mainly, its just food for thought, but equality (or in this case in equality) hit home with us. This wasn’t “some time ago” it was 2017—last year. It’s always good to understand ALL the details of a tournament you sign up for – after all it costs you time and money – be smart and of course PLAY SMART. Senior man vs. Open woman …. Pickleball’s first ever Battle of the Sexes took place this last summer. The location was Southern California’s Bobby Riggs Tennis & Pickleball Club (how appropriate was that!) where memorabilia from the 1973 Bobby Riggs vs. Billy Jean King match is displayed. The players put themselves out there and gave it their all every single point. The crowd was not disappointed at the level of play and quality of entertainment. This event carried on the long-time national discussion of women and men, age and pay equality. As all pickleball lovers know, the number of players, tournaments and events have increased exponentially. Players now have so many choices of where to play and what levels or categories to compete – WOW, how cool it that! But with so many choices and opportunities comes our caution for players to beware. A lesson we learned is to read the entire tournament information and then you will have the facts to decide if that tournament is right for you. For example, you may want to only play with people of your AGE yet find the divisions offered are by SKILL – or maybe it is unclear what the tournament director (TD) will do if the right number of players do not sign up; will you then be put into another division that you do not want? Read the fine print and if the information is not clear email the TD for clarification so there will be no surprises come tournament day. Our example – last summer we participated in a big tournament offering prize money and both senior and open (non-senior) events. Once it came time for some of the winners to receive their reward there was none. There were many players (including ourselves) who did not clearly understand the tournament information and made assumptions as to the payout. The TD awarded $1,650 to each of the open men’s winners – that may be the largest to-date payout in the pickleball world for a gold medal– yet the open women winners received $500 each and seniors got zero. Pay equality amiss by both age and gender. While we love how there are so many division options and cool locations to choose to compete in, this is your player beware – know the specifics and pick the tournaments that are “equal” to you. All players, whether man or woman, under-50 or over-50, YOU have the choice to support or not support a tournament. Note: In the pickleball world age 50 and above is Senior. Hi Jennifer, I know what you are saying and even before I read the article, I had a feeling that it was going to comment on the inequality of pay-outs to men vs women and then vs seniors. I agree that it doesn’t seem right but I guess it is no different than what is being done in the pro golf world; for example, the men’s Seniors Tour do not have the huge pay-outs that the younger men’s pros command. And then, go over to the Women’s golf tour, the same discrepancy applies between men vs women. With that said, I think there is legitimate reason for that to occur, such as sponsor money is huge on the Men’s Pro Tour, FedEx Cup, etc. The spectator gate is way bigger on the men’s tour, compared to women or senior men. Sponsors and spectator gate help pay the freight, not to mention television rights on the men’s tour. The question is, does that all apply to pickleball at this stage or should there be parity right from the get-go? Did you talk to that TD, to have him/her explain why the discrepancy that you described. The US Open has published their pro pay-outs in advance and there is some discrepancy but certainly not to what you have described (I don’t think). An interesting thing to get right now rather than wait until those pay-outs are much bigger in the future. Ooooh, I wish, I was 30years younger, then I could dream about being a paid pickleball player. The closest I can come now is in Kalamazoo, MI where I can get paid to referee matches, that I love to do. Roy Wilson, in golf, these are three separate groups, however, in Pickleball, everyone plays in the same tournament so the payouts should not be so different, if anything at all! Jen, That is just unconscionable! I’m glad you’re letting people know this and hopefully you and others of influence can promote equality among the ranks and not let this be the protocol! Thank you for the information! Good thoughts, Jennifer. You were right on all accounts. but it’s hard to keep partners. They starti falling away. I love your articles. Keep them up! Wow! What an eye opener. Thank you, Jennifer. As a District Ambassador I just sent this to my Regional Director who is putting on the first West Region Tournament October 5-7. I am sending it to my 17 Ambassadors as well. I am putting together the first Nor-Cal Senior Games and I will definitely read the fine print making sure all players are treated equally. Thanks again. That is just crazy. Who makes these stupid decisions? Met you at Doug Hastings last year. You had a wild group, having too much fun. Hopefully you will be passing through here again. Yes, all should read the tourney info and ask questions if you are not sure. As a tournament director, athlete and a female, I want to address this issue. Prize money is usually determined by number of entries in the division (unless you have a sponsor who has donated the prize $). So if the minimum number of entries is reached than the payout will be made, no matter if you are male, female, senior or whatever. Most times the number of female entries are less than the number of male entries & that is why the payout is different. I’m all for equality – so equal number of entries = equal prize money. I have heard several complaints from top female athletes in their sport (pickleball & racquetball) that they didn’t get equal prize $ that men did but they failed to mention that there were fewer female entries in the draw than the men’s . So please get & give all the facts first before crying “foul”. If equal entries then equal payouts should be made- I’m 100% for this! As a tournament director, there is so much time and effort put into these tourneys for people to come and play and unless you have some big money sponsors, it’s a lot of time, effort and work. I love having great competitions at the tourneys and I purposely don’t play at them so I can give all my time and effort to make sure they are run well. Jennifer…was the TD in question ever asked for justification and/or reasons for payouts in this way? Thanks for a timely and spot-on perspective, Jennifer. $$$.comes from sponsors and entry fees right? 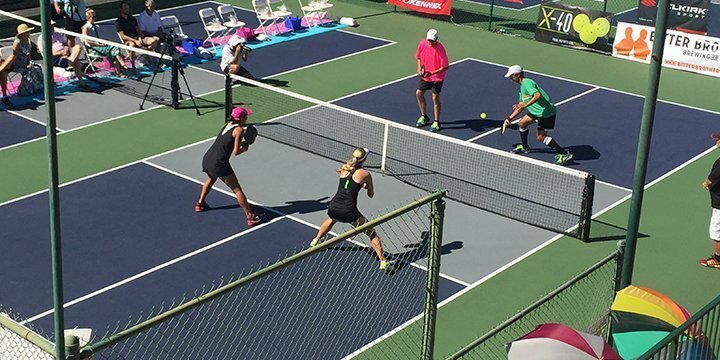 Why not charge spectators for viewing first class—and world class—pickleball pros ply their trade? Other sports generate income for pros by spectator $$. Why not pickleballl, too? Also, tournaments could pay premiere players appearance $$ although I don’t know that the sport is ready for that level of professionalism yet. Hello Jen, Soo very happy you shared this information…This is absolutely reprehensible!!! OK, Really thought about jumping in on this. 2. T of C paid Equal by gender, but there was a different payout for (senior) plus 50 play. 4. with The PPF Tourneys that were held last year (4) Female play and senior play suffered. Canceled women’s singles because of a lack of players. 6. At Nationals in the open section there are was a large number of plus 50 players competing for a very small prize pool. So as a promoter and realizing to have pro payouts, a tourney has to have sponsors and players. So what came first the chicken or the egg. If you want sponsors you have to have players. So in 2018 T of C will be pushing the amatuer play. Pro players don’t buy equipment. If you want sponsors from PB Manufactures you need amateurs there.Now for five years we have tried and tried to create a draw for spectators. Not there yet, but it will come. The biggest problem is that our sport has never charged admission. All are allowed to bring their own food and drink, Most of the players were senior and many on fixed income. The sport grew because of its affordability.. Changing the culture and charging won’t be easy, but it will come. My action this year as it was in the beginning with T of C could set the standard for the future. 1. Pro and Senior Pro entry fee per event are the same. 2. Pro and Senior Pro Prize Money is the same. 4. If minimum number of players or teams is not met eventplay is canceled. I believe in this sport for all the right reasons. We went were no other tourney dreamed about 5 years ago. I have been told that T of C is one of the top three in the US. Hope this helps all understand the challenges for the player and the tournament promoter. Thank you for your detailed explanation. I believe the influx of young, dyvnamic players is good for the evolution of the sport. 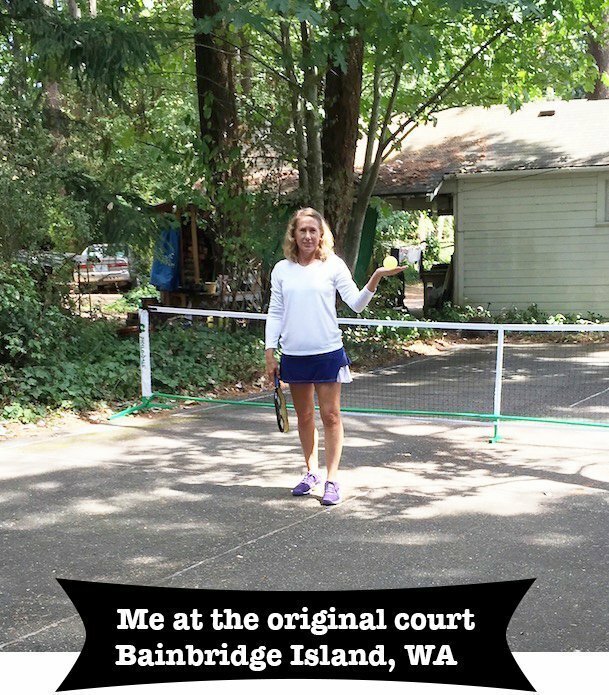 That being said, I am nostalgic for the earlier pickleball model to which you referrred: amateur and older. I mean the ultimate pickleball athlete will probably be six feet ten inches tall, athletic as all get out, blessed with extraordinary long arms ala Kevin McHale (now I am really dating myself) that allow him to volley every ball aloft over the kitchen, and twenty-five years old. Such an athlete may very well take the sport to its highest level of performance. But what a loss: beautiful older athletes battling with all their considerable passion and heart for the honor of a gold medal worth a few bucks hanging around their necks. Do we really want the sport to be like tennis with all the older players relegated to separate satellite tournaments— and all the attention and athletic glory reserved for only the very young and able bodied? One cannot stop progress, but he or she can grieve the passing of the sport into an epoch far distant from ithe spirit of recreation and fun commensurate with its roots. All amateurs to start, now, paid professionals. Can’t stop progress. I was a partner in Pickleball Now, we sold to Escalade Sports and later it was all incorporated into ONIX. When I met with the chairman he asked why PB was not a fad. I replied, two things. It is the most social game ever invented and you have to understand what open play is. Second what other sport can you see 25 year olds playing with plus 65 and having fun. I started playing in 2009. Over 300 lbs and just having 5 by passes. Now 223 with 11 inched off my waist. The health benefit of this sport is black and white. It is still a great sport, but remember the Green Bay Packers? The first Super Bowl players averaged $17,000 per year. Now they get big bucks, again that’s life. Remember when? Remember when? Give that old time Rock and Roll. Now we have Rap. That’s Life!!!! Last comment on Prize pool payout. 26 teams and 8 teams having the same prize pool is not fair. That is why T of C has different levels. Registration fees only account for 40% of my prize money. In the past it was a 100%, those days are over. The reason I changes from US Op[en in the first year to T of C was my vison in the future would be the players coming from the top players of any tourney that wanted to be part of it sending their winners all expenses paid to be part of and qualify. That was before sponsored players, I do see qualifying rounds for medal matches in the future, when I do not know. Tus therefore are the words of the gospel according to Me. I may be honey tongued, but you admirably terse! Most seniors I know don’t go to tourneys for the money. Maybe the sponsors could consider free entry for the next years tourney as a perk for Senior medalists. The men in American sports usual get paid more then the women… no matter the draw or sales. Great example is the women’s World Cup and National soccer teams. But still the women’s team is paid embarrassingly less, and is given less in benefits. It’s a slippery slope. Let’s us not go down it with Pickleball. 50 percent of the population deserves equality.